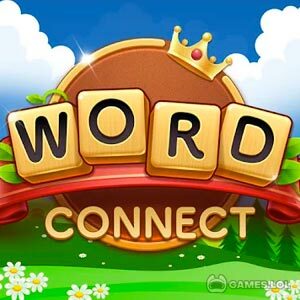 Word Connect – Word Cookies : Word Search free PC has two games that will make you enjoy and use your idle time wisely. You can simply choose and play between Word Connect and Word Search. Word puzzle games have now moved from their former paperback identity to a handier and digital one. With this download, you can play a couple of your favorite puzzles anytime. One of the games in the Word Connect – Word Cookies : Word Search desktop download is Word Connect. In this game, the player will have to link letters together to form words. Word Connect starts fairly easy by forming two to three-letter words. In addition, the game will indicate how many combinations are possible to be formed. As a result of finding them all, you will have the chance to advance to the next level. The other game mode is Word Search. This is like the old school puzzle book where you will have to highlight the words that you find. You just have to take note that these words are hidden among numerous other letters. The first level starts with the basic pack and you will need to find colors in the first puzzle. The succeeding ones will have themes like numbers, shapes, countries, and clothes. Other packs will include animals, food and drink, geography, and many more. And, if you get cluelessly stumped and need help, you can always press the light bulb icon for hints. This works the same for both games. And oh! Don’t forget to log in daily for rewards. What are you waiting for? Download Word Connect – Word Cookies : Word Search desktop now! Call your friends now and play more Word Games like Wordscapes and Word Cookies. your Word Connect – Word Cookies : Word Search installation.